This new research initiative explores the impact of new genetic and reproductive technologies on the Islamic conceptualization of the nuclear family in terms of both the (re)formulation of relevant rules as well as the administration of these rules. Read more..
New journal articles in IMSE ... Click here. New Bioethics book titles in IMSE ... Click here. More stories are found in the News page. 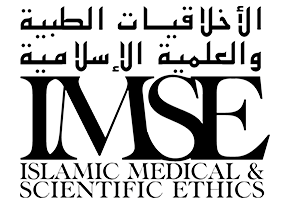 The Islamic Medical and Scientific Ethics (IMSE) collection comprises a wide range of resources that cover the broad spectrum of Islamic literature on biomedical ethics. Read more.. The Encyclopedia of Islamic Bioethics (EIB) aims to serve as a reliable resource for Islamic ethical thought on the wide range of bioethical questions and dilemmas. Read more..
IBP research initiatives IMSE, EIB, and FGRT are funded by the NPRP program of Qatar National Research Fund (QNRF). This libguide illustrates a comprehensive collection of resources pertaining to Islamic perspectives in the broad field of bioethics. This conference highlights controversial bioethical topics encouraging scholarly dialogue among researchers from various parts of the world.